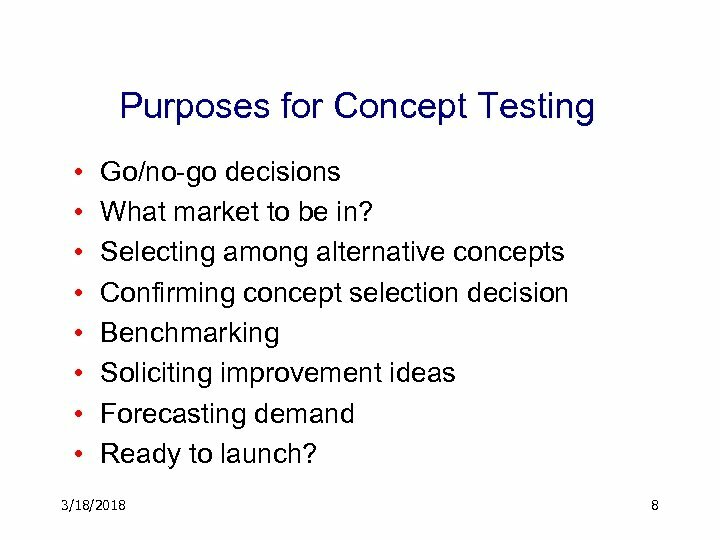 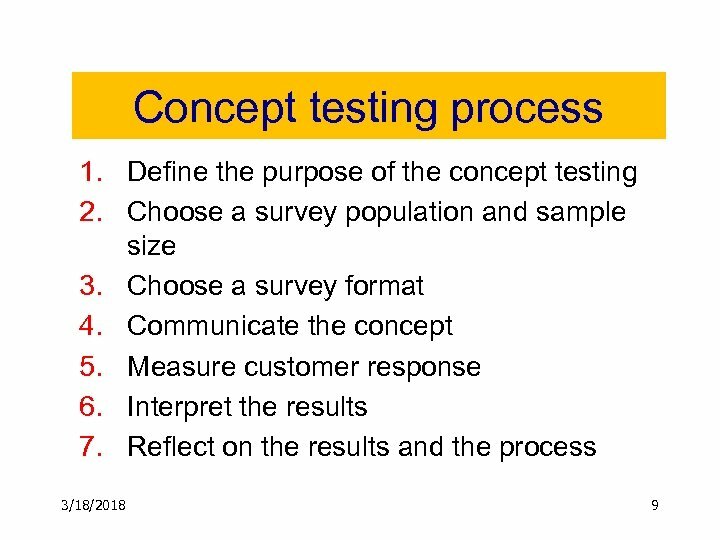 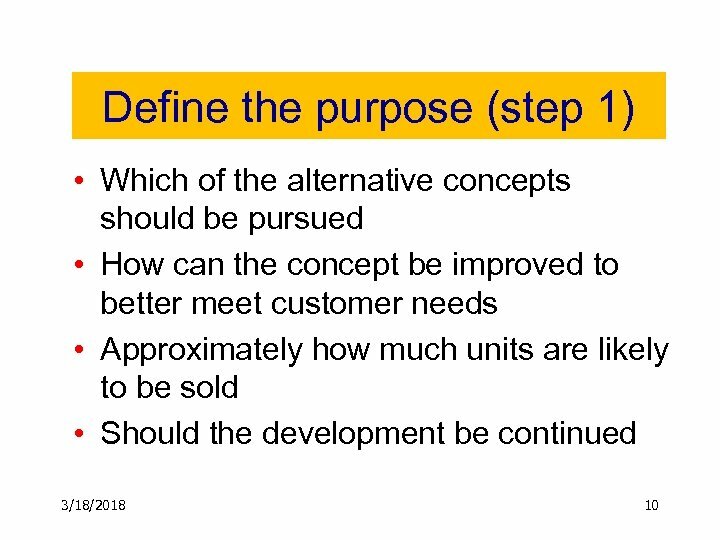 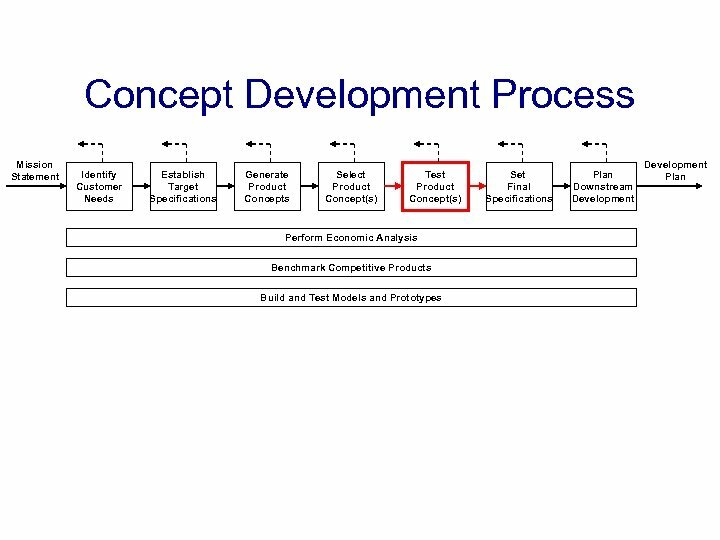 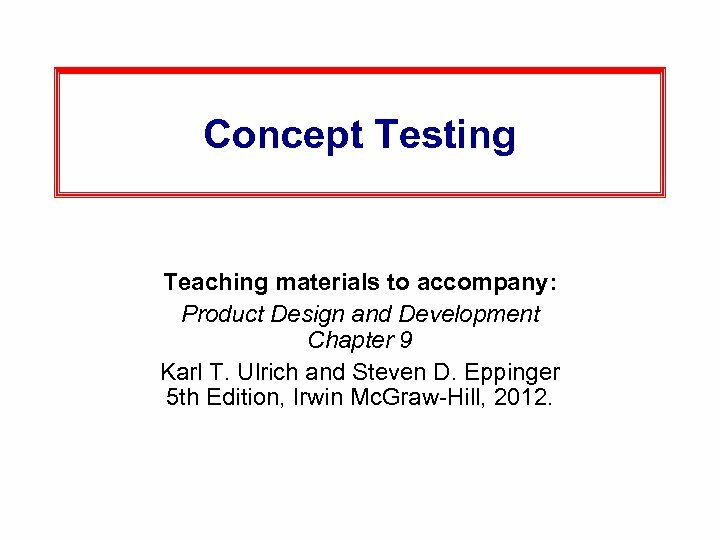 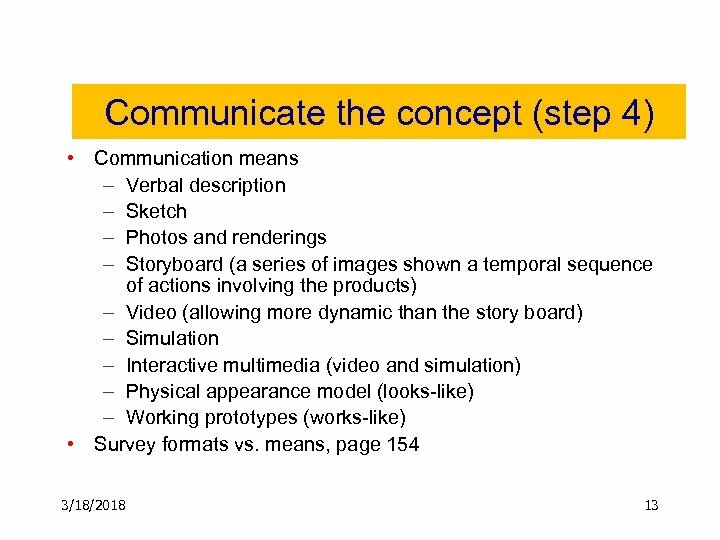 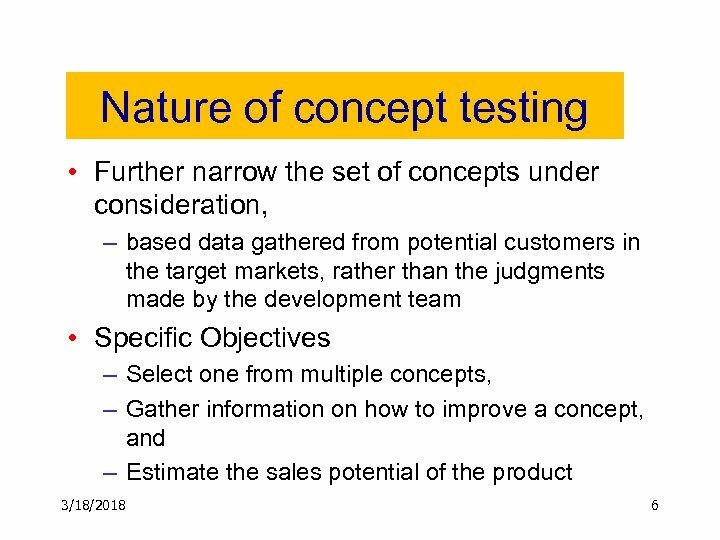 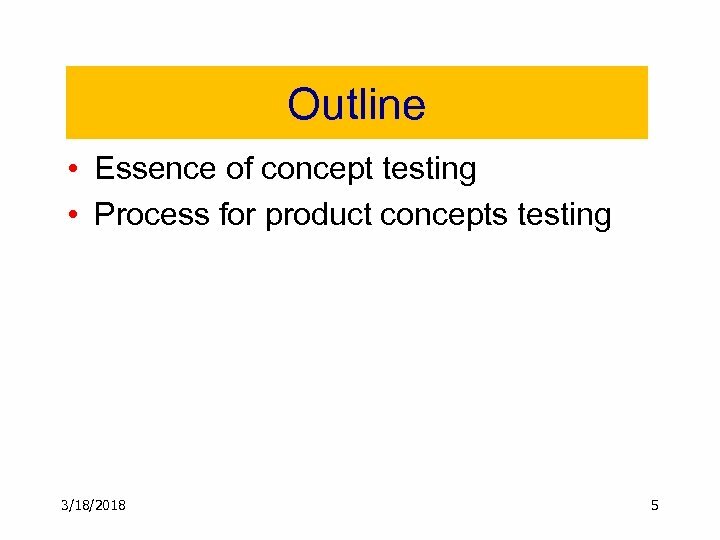 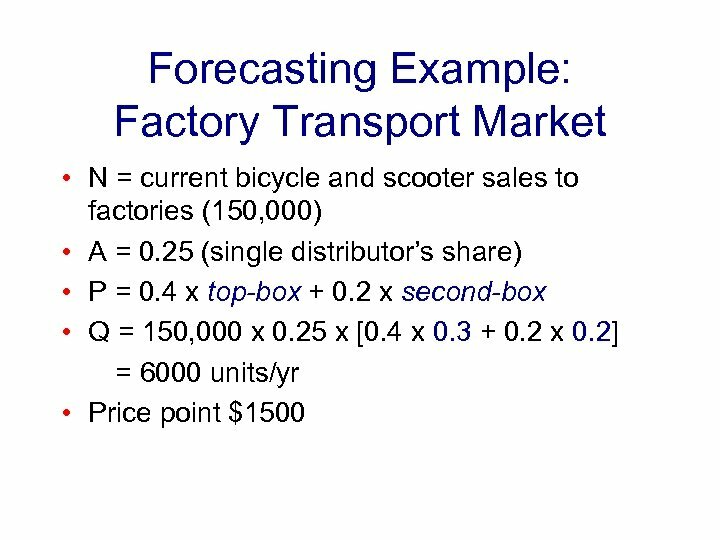 Concept Testing Teaching materials to accompany: Product Design and Development Chapter 9 Karl T. Ulrich and Steven D. Eppinger 5 th Edition, Irwin Mc. 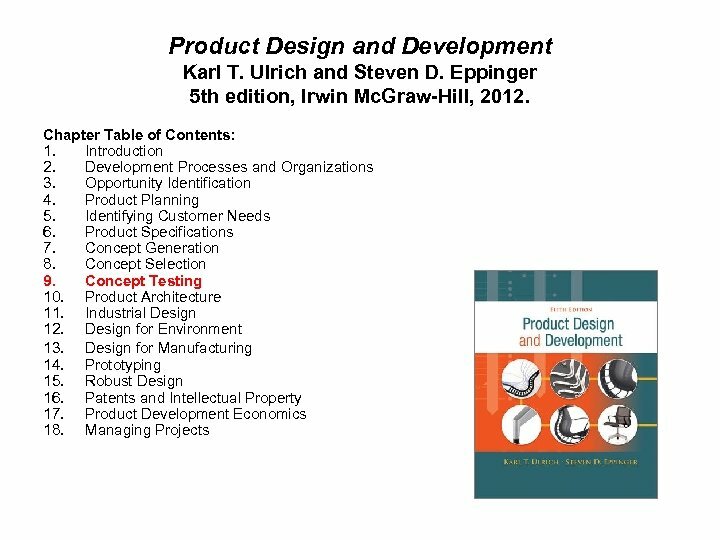 Graw-Hill, 2012. 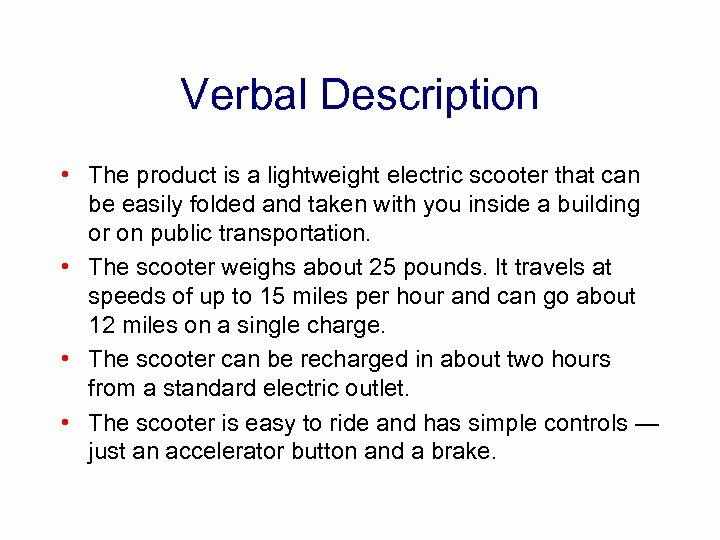 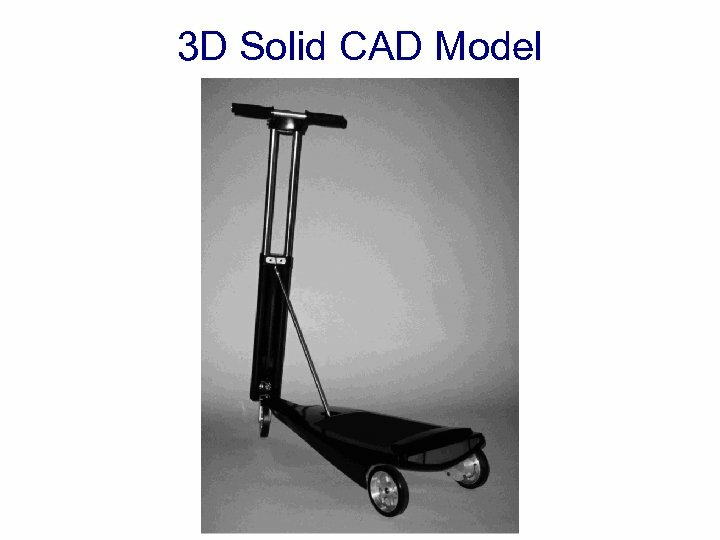 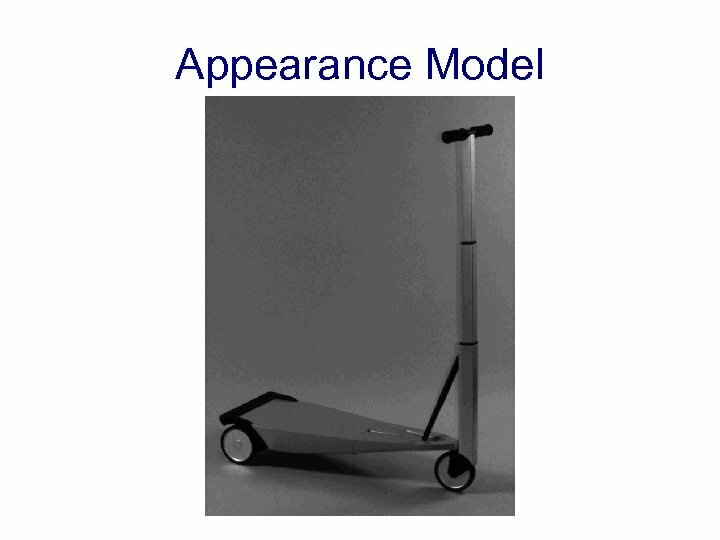 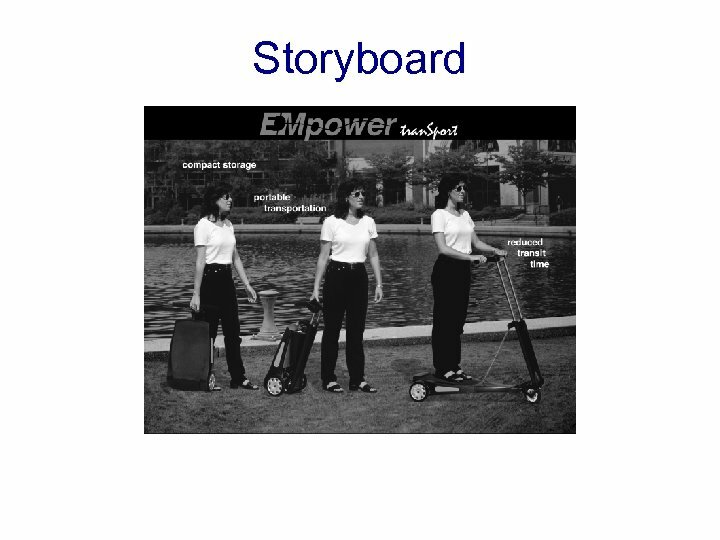 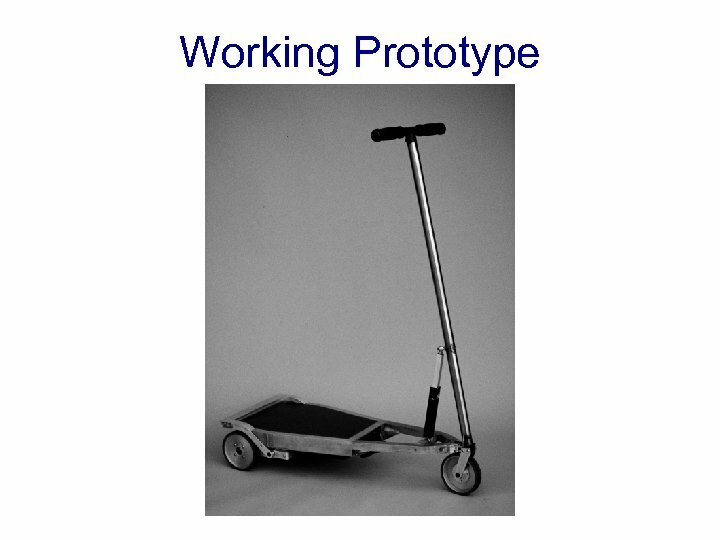 Verbal Description • The product is a lightweight electric scooter that can be easily folded and taken with you inside a building or on public transportation. 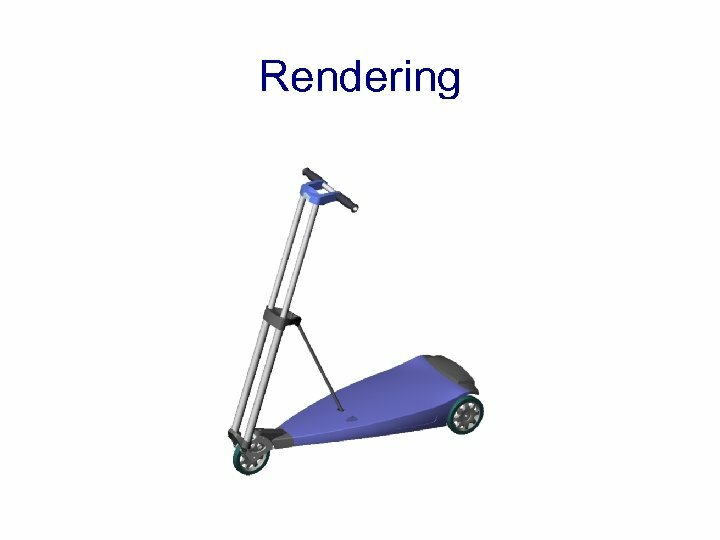 • The scooter weighs about 25 pounds. 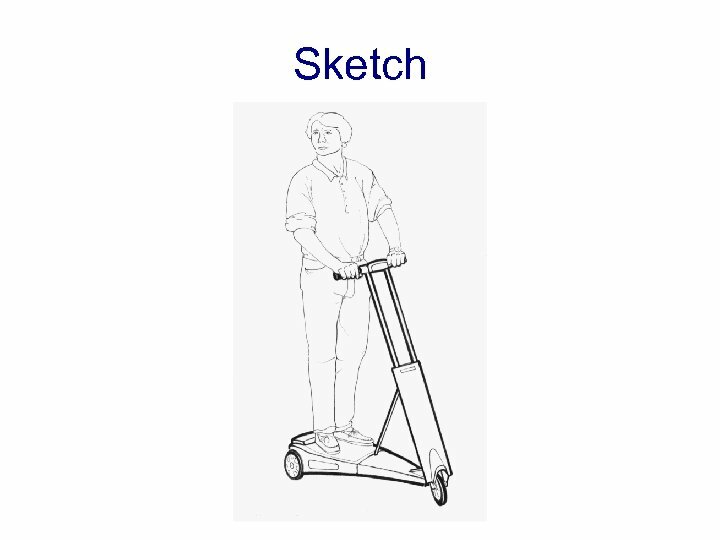 It travels at speeds of up to 15 miles per hour and can go about 12 miles on a single charge. 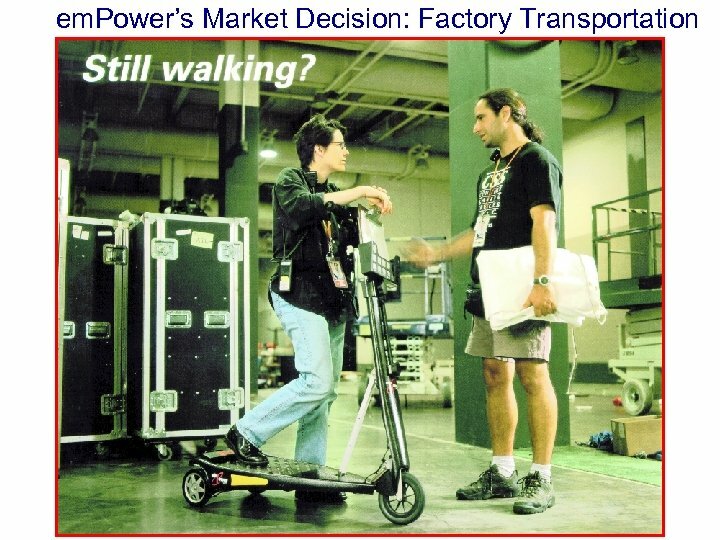 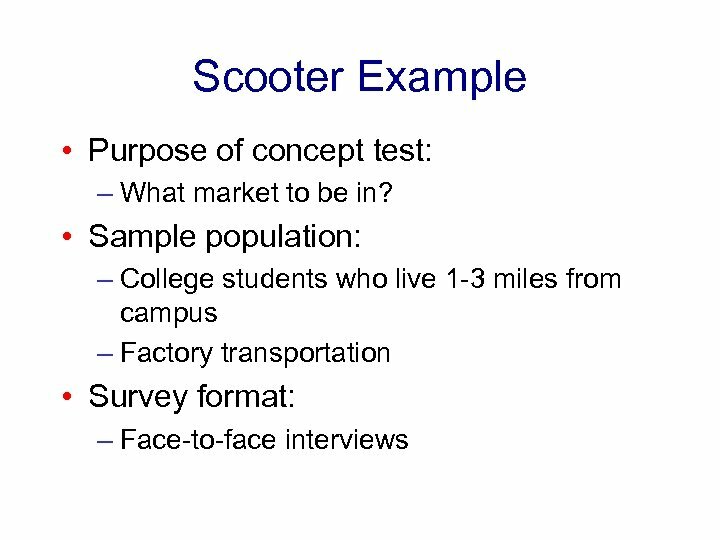 • The scooter can be recharged in about two hours from a standard electric outlet. 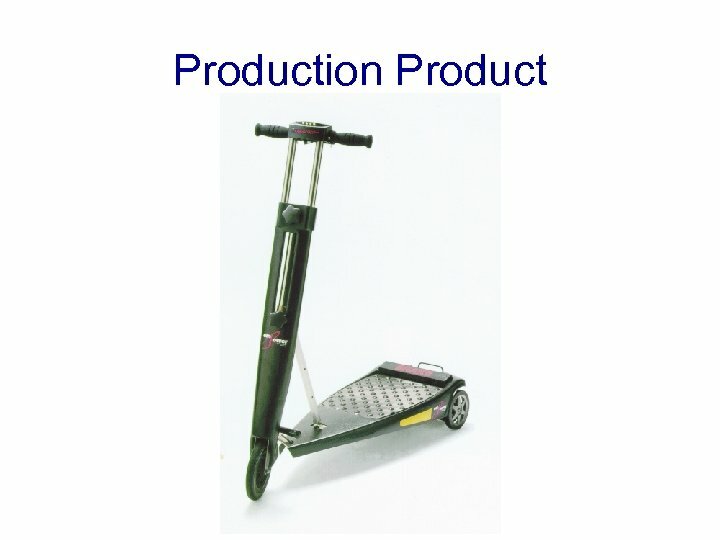 • The scooter is easy to ride and has simple controls — just an accelerator button and a brake. 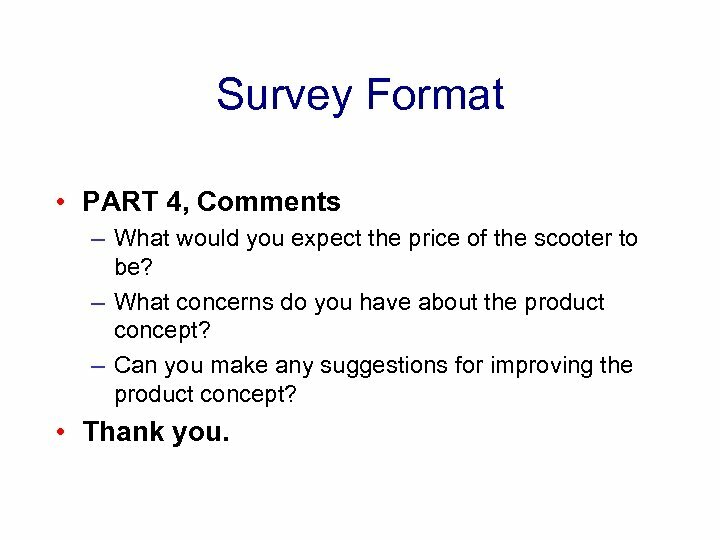 Survey Format • PART 4, Comments – What would you expect the price of the scooter to be? 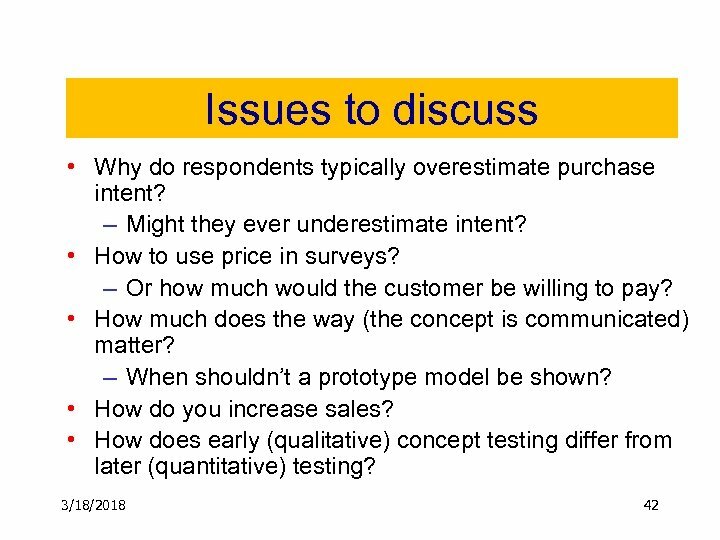 – What concerns do you have about the product concept? 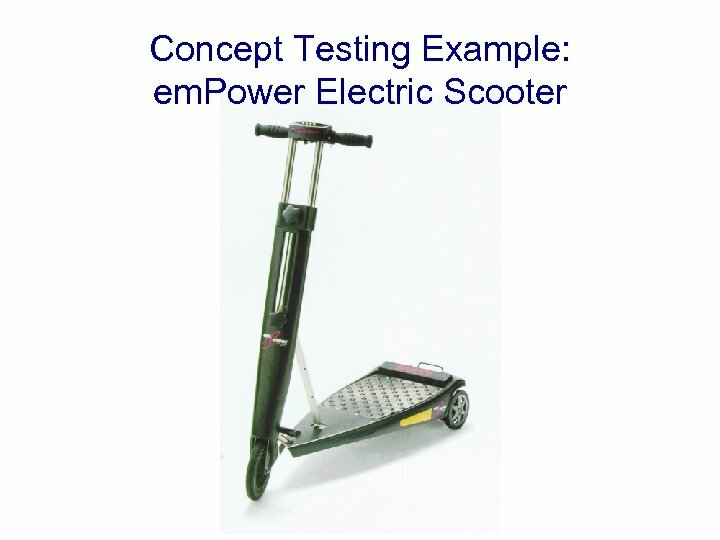 – Can you make any suggestions for improving the product concept? 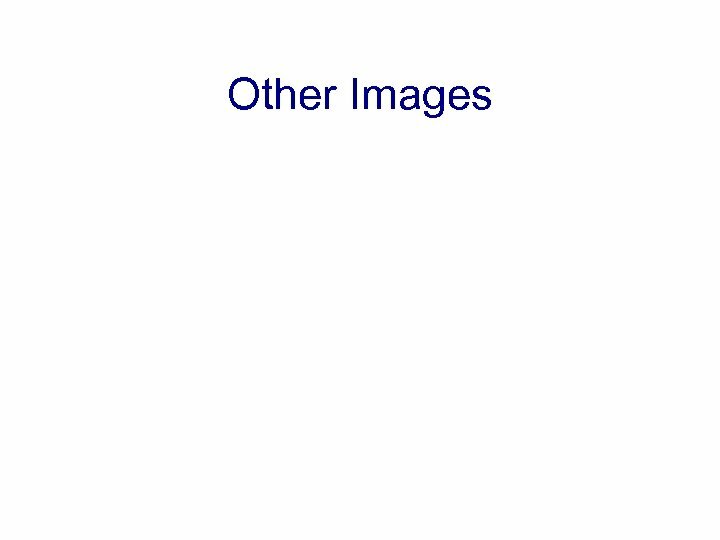 • Thank you. 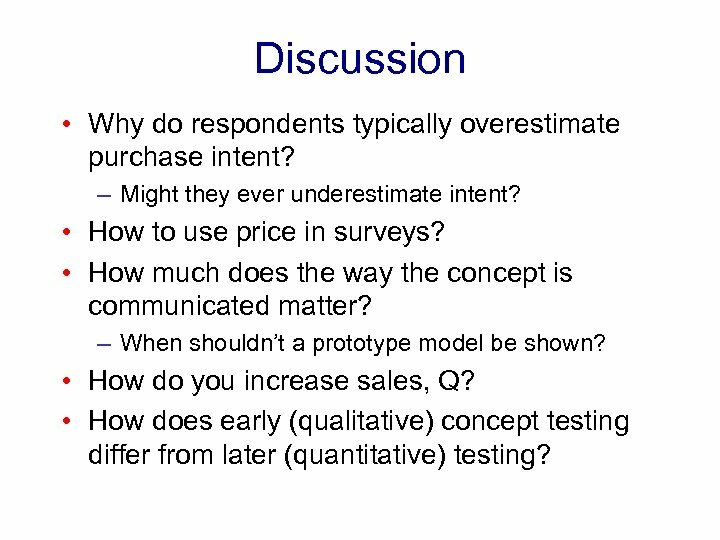 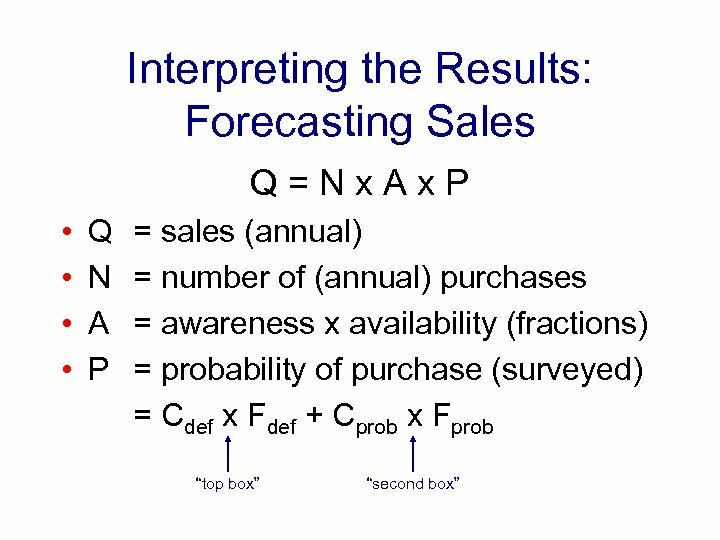 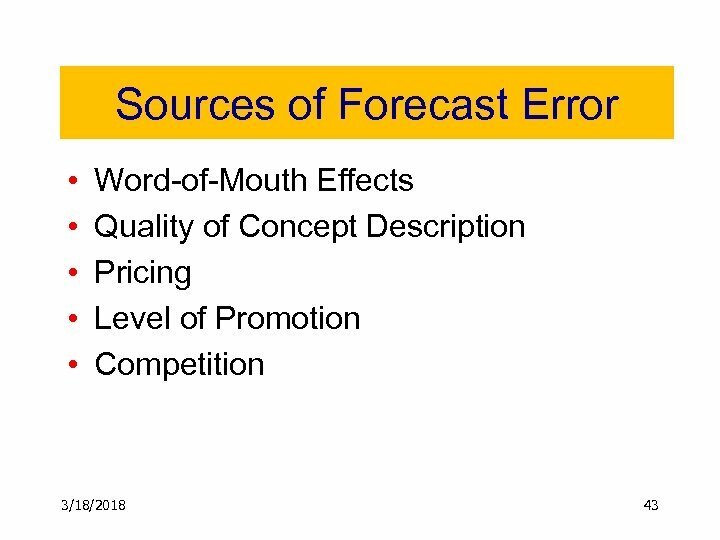 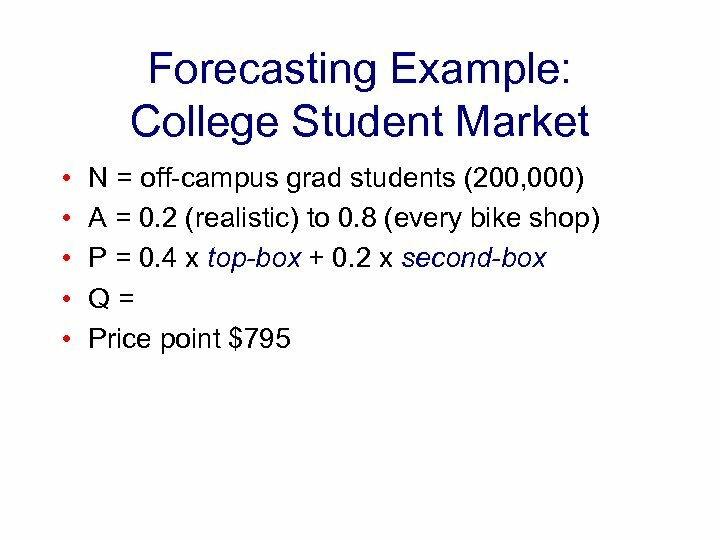 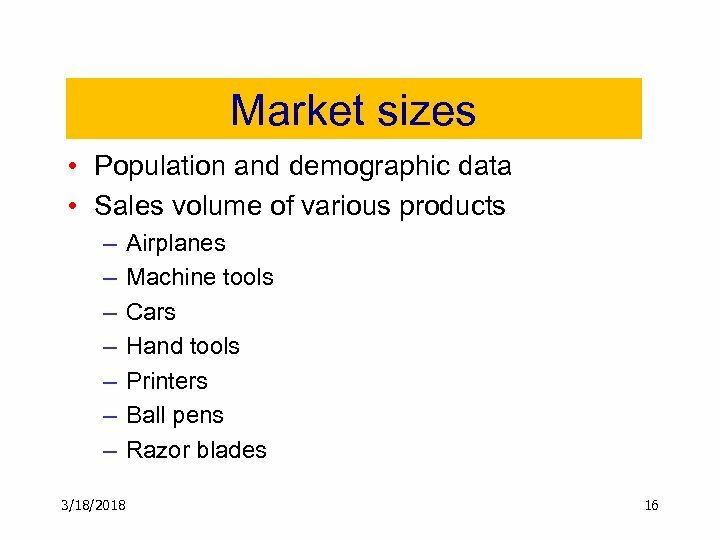 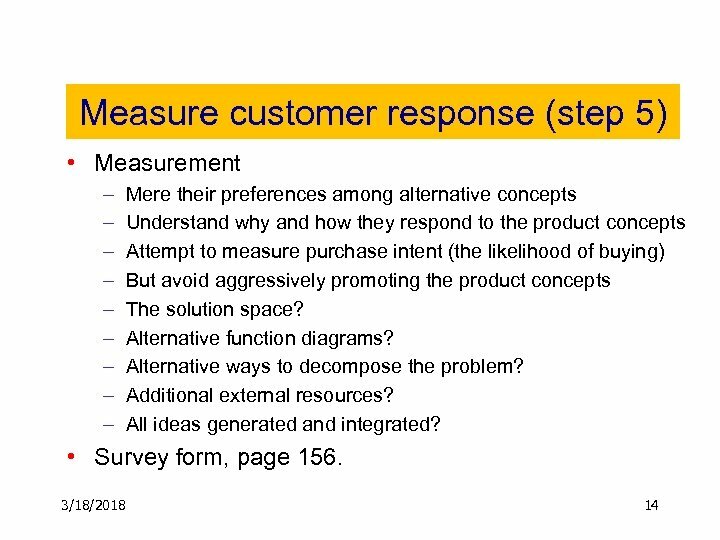 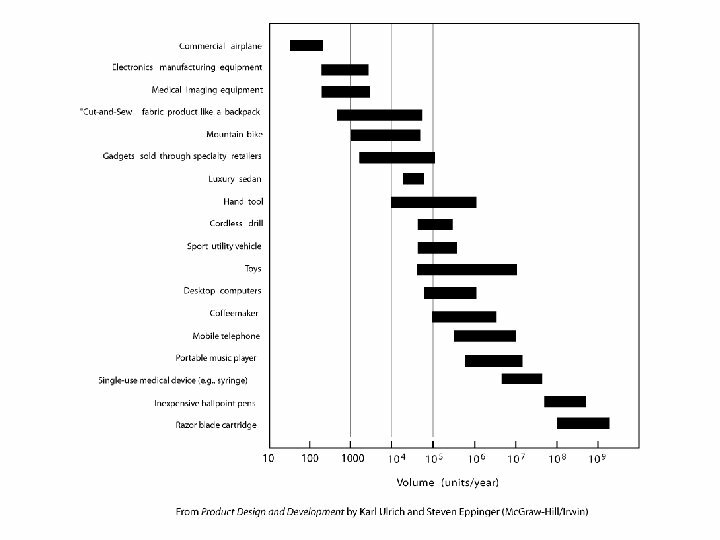 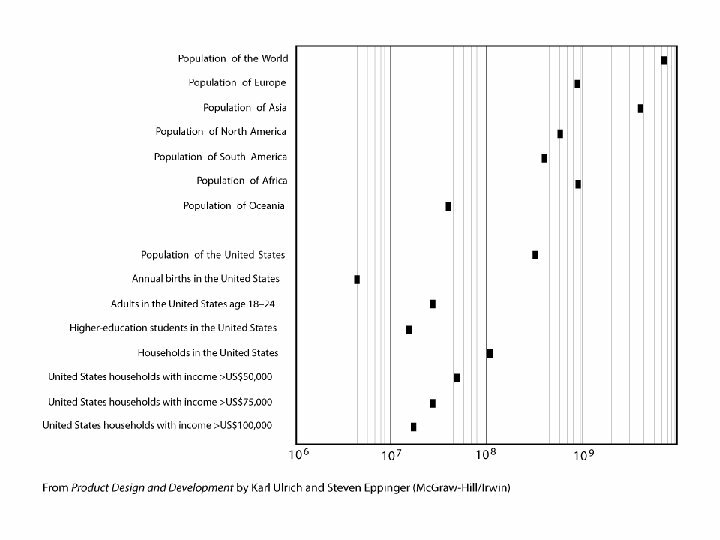 Discussion • Why do respondents typically overestimate purchase intent? 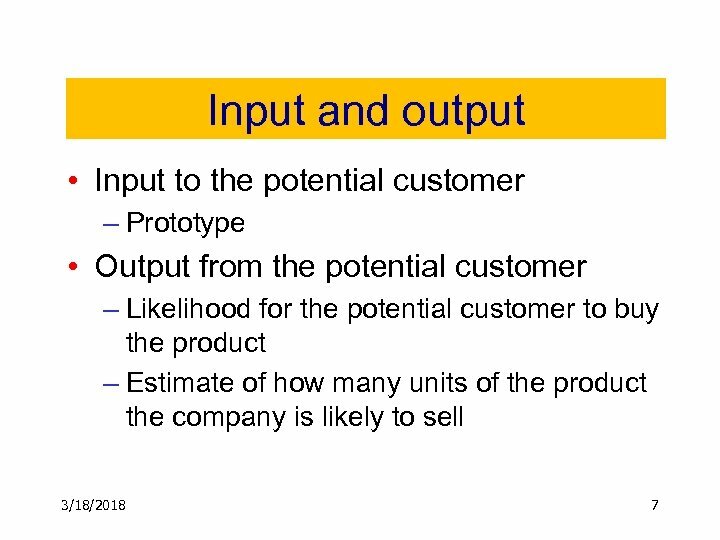 – Might they ever underestimate intent? 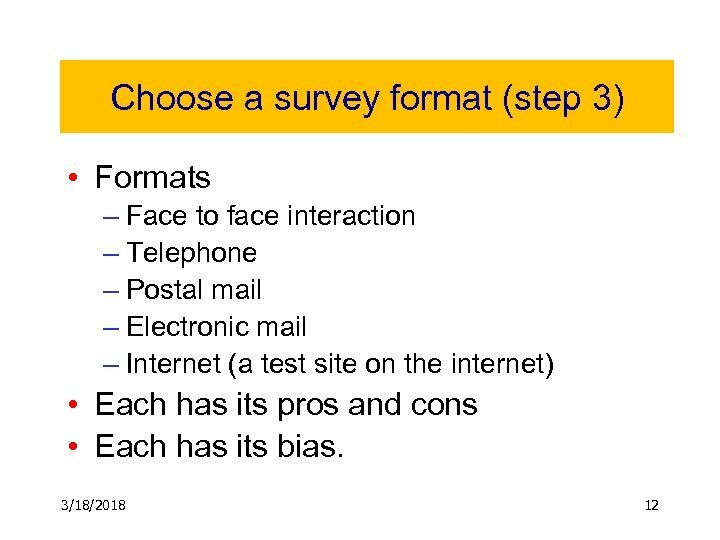 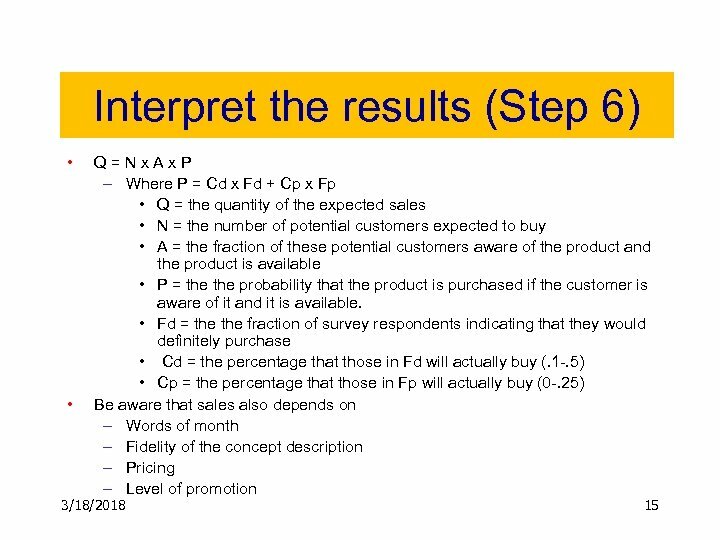 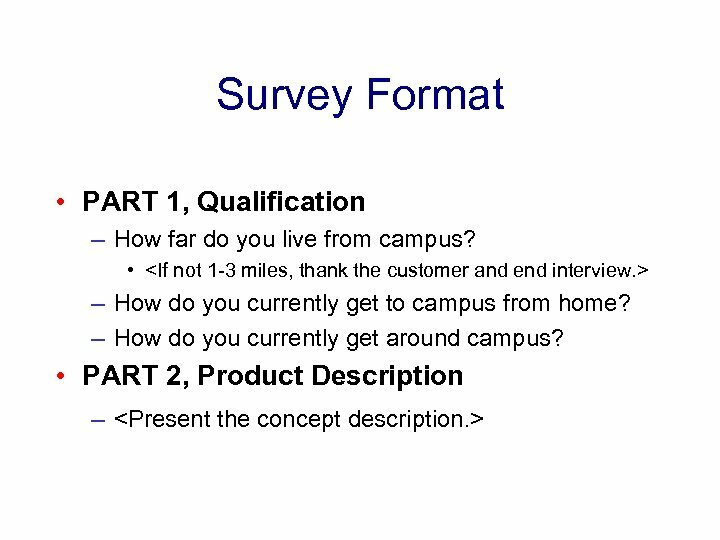 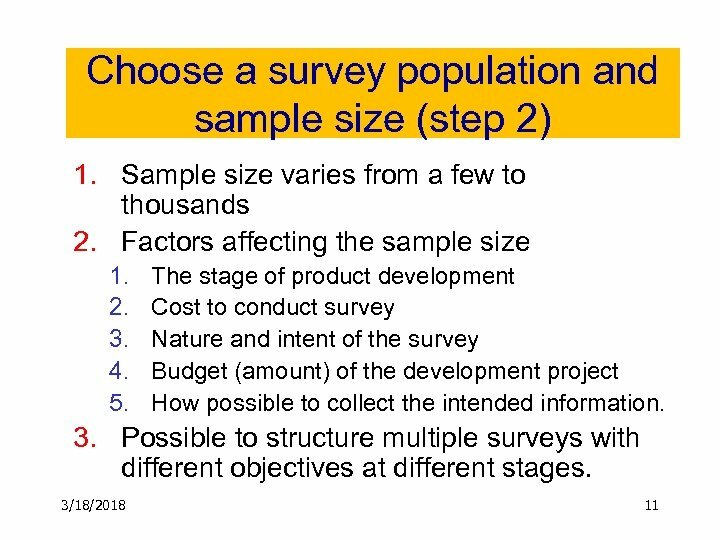 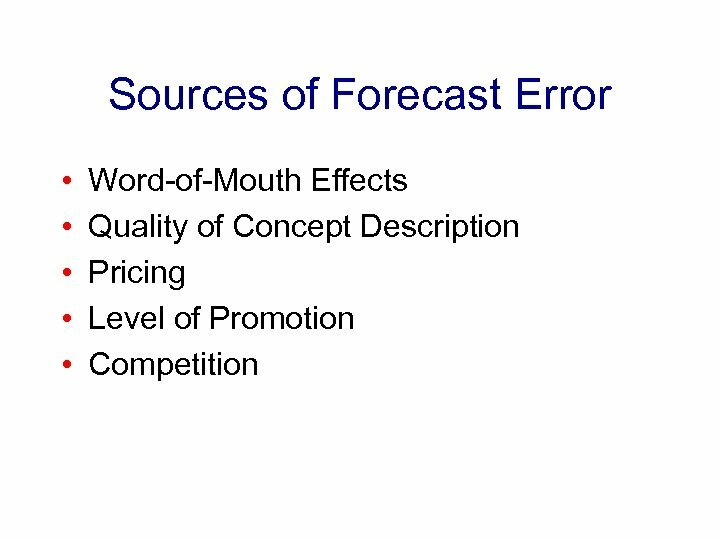 • How to use price in surveys? 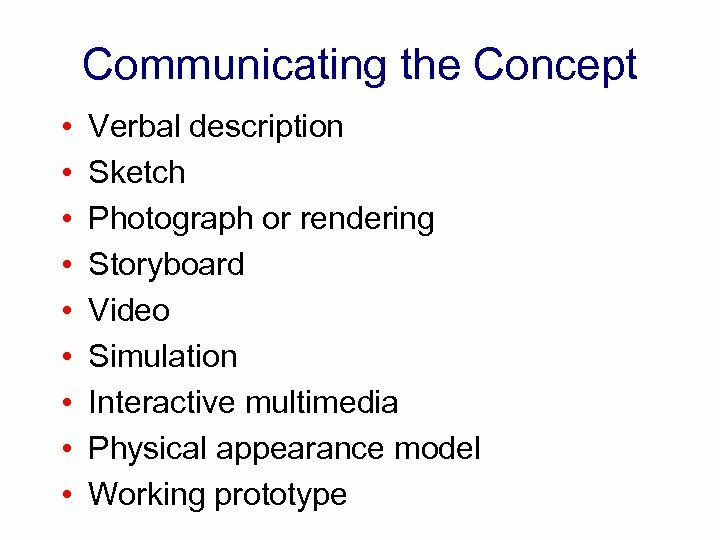 • How much does the way the concept is communicated matter? 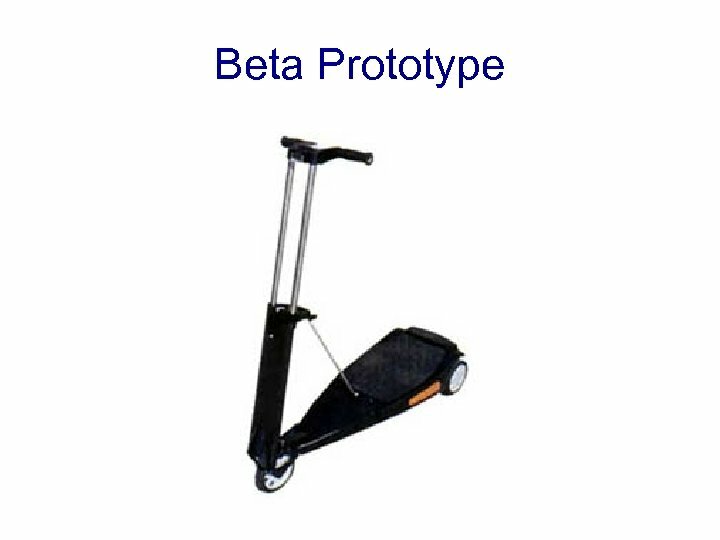 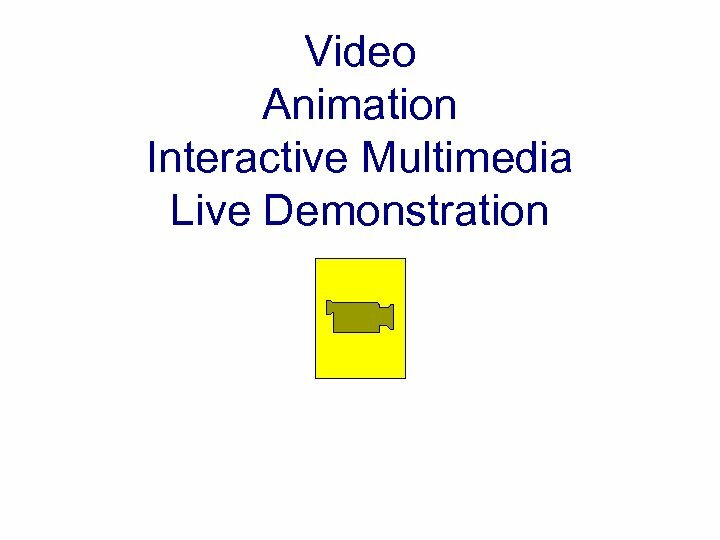 – When shouldn’t a prototype model be shown? 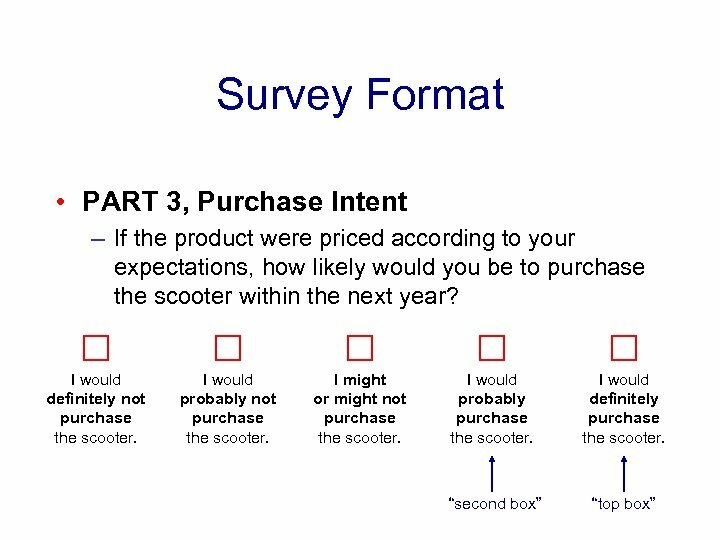 • How do you increase sales, Q? 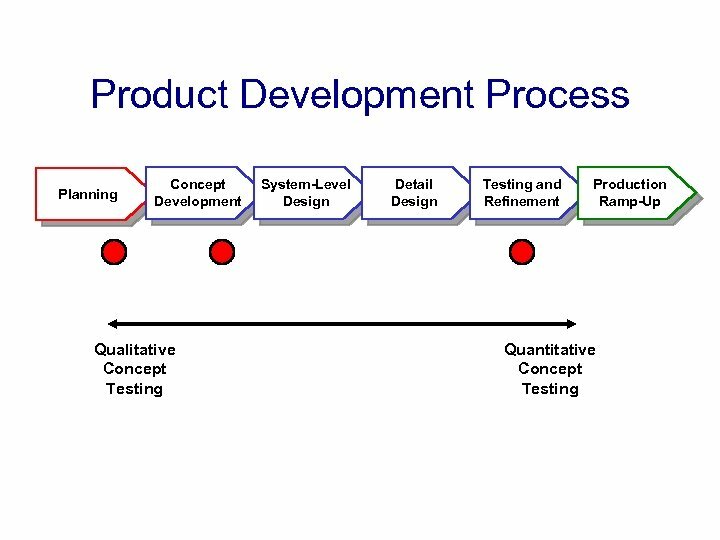 • How does early (qualitative) concept testing differ from later (quantitative) testing?